The chemistry of water in nature is a vast and complex subject which requires understanding of treatment and conditioning for industrial usage. Water quality and its applications in power plants, and resolving water related problems in boilers and associated fields, have become important features of engineering and management. 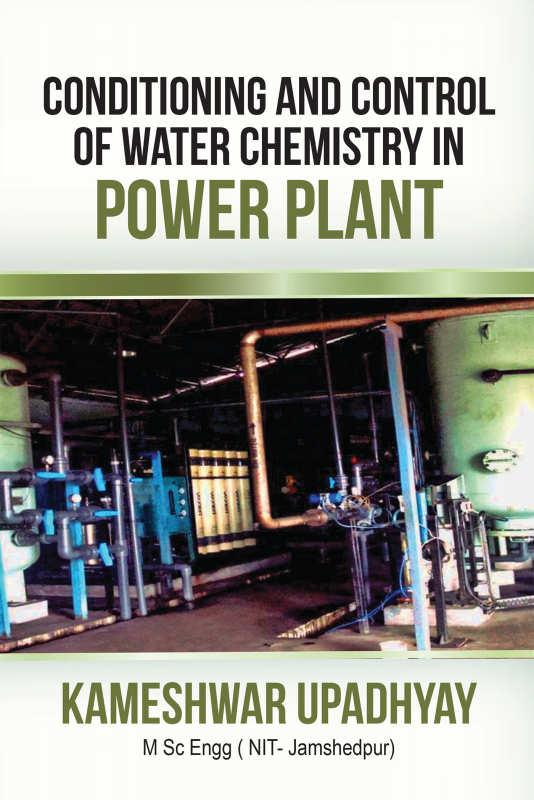 This book will be helpful to water analysts and power plant engineers to conceive the concept of water treatment & control in-process chemistry and troubleshoot boiler operations. This book can be utilized to bridge the gap between applied chemistry of water and power plant operations.Data tabulation and graphical presentations make the subject clear and easy to understand. Various analytical techniques have been discussed to troubleshoot the process problems arising during operation. The presentations are made in the format of a workbook, as a ready reference for operating engineers of power plant. Effort is made to explain water chemistry with examples, and chemical reactions related to treatment and effect of impurities in process water, along with treatment programs. Standardization and tolerances of water parameters in power plants. Remedial treatment & controls applied to water in process and technique to ascertain parameters to minimize the ill effect in process. Kameshwar Upadhyay did his MSc. Engineering in NIT Jamshedpur. He is an associated Member of the Institution of Engineers (I) and is presently working as the Director (Technical) in SSPL. He has rendered 25 years of services in Tata Steel Company in various departments and positions, specializing in vibration condition monitoring & predictive maintenance. He has valuable experiences in project engineering, erection commissioning and in operation and maintenance of various types and capacities of power plants. He is presently working as a consultant in power plants for operation, maintenance, trouble shooting and project work.